Ferial Haffajee: Can Ramaphosa manage R1.2trn investment and expropriation without compensation? Solly Moeng: SA may be open for business - but will its story sell? President Cyril Ramaphsoa announced on Wednesday that government would be announcing a set of measures to "stabilise" debt-laden power utility Eskom "in a few weeks", but did not say what measures the state would take. Ramaphosa and members of his Cabinet were briefing the media on the SA economy and growth projections at the annual WEF in Davos, Switzerland. He said the measures would stabilise the finances of Eskom, which is R420bn in debt, and ensure the continuation of electricity supply. 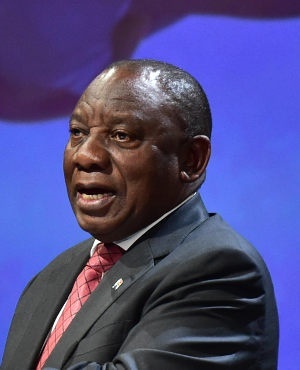 The president is leading a high-profile SA delegation to the annual meeting of heads of state, finance chiefs, captains of industry and celebrity philanthropists, amid low economic growth in SA. He said direct foreign investment into SA jumped 440% from $1.3bn in 2017 to $7.1bn 2018, which he said underlined the success of his investment drive. Ramaphosa said the country had embarked on the restoration of the rule of law, as well as the credibility and the integrity of public institutions since he came to power. He referred to the judicial commissions of inquiry he had established, saying those who had been "complicit in corrupt activities [would be] brought to book". In response to a question, he said the SA judiciary overseeing the commissions of inquiry would not be intimidated, saying they were “headstrong” and would not be “cowed”. “We want those commission to finish their work,” he said. The president is looking to drum up foreign direct investment with a team including Finance Minister Tito Mboweni, Reserve Bank governor Lesetja Kganyago, Trade and Industry Minister Rob Davies, Minister of Economic Development Ebrahim Patel and Minister of Public Enterprises Pravin Gordhan. After a brief period of 'Ramaphoria', SA's economy struggled in 2018, falling into a recession after GDP shrunk for the first two quarters of the year. While growth picked up in the third quarter, the SA Reserve Bank still estimates that the economy will only expand by 0.7% in 2018.